Douglas Kahle - Virginia - Book a consultation instantly! 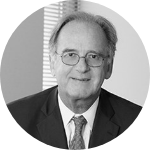 Mr. Kahle has over 38 years of experience practicing in the areas of Commercial Litigation, Business Formation, Environmental Law, and Commercial Real Estate. Over the years, he has successfully represented businesses as well as individuals and businesses in litigation from Virginia to Alaska in state and federal courts. He litigation experience includes trust and will disputes, shareholder disputes, minority shareholder rights, construction litigation, wetlands/environmental litigation, securities fraud, mold litigation, breach of contract, breach of fiduciary duty, and fraud actions. Doug’s reputation for success in litigating environmental cases has resulted in clients engaging his services from as far away as Alaska. In his non-litigation practice he; (1) established the first condominium time-share project in Virginia, (2) represented clients in multi-million dollar sales of business, (3) successfully defended clients in state and federal level administrative law actions, (4) has lectured extensively on various business formation and tax issues, (5) successfully negotiated resolutions of business disputes, and (6) business and contract formation. His early post-law school years as a tax specialist with a “Big 8” international CPA firm equipped Mr. Kahle with particular sensitivity and awareness of business formation and contract tax issues.